HICKORY – Lenoir-Rhyne University’s women’s soccer team will be idle until Wednesday. The Bears (2-2-1, 0-1 South Atlantic Conference) were scheduled to play Sunday at Tusculum but weather associated with Hurricane Florence postponed that match. 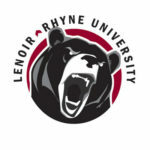 LRU will face Mars Hill on the road next Wednesday in a conference match. The Bears opened SAC play on Wednesday at home, falling 1-0 to Carson-Newman (3-2, 1-0). Carson-Newman, last year’s runner-up in NCAA Division II, scored the only goal in the seventh minute after LRU was called for a foul in the box. Magda Mosengo then scored on a penalty kick. The Eagles outshot the Bears 16-11. LRU played Carson-Newman to a 2-2 draw last season.